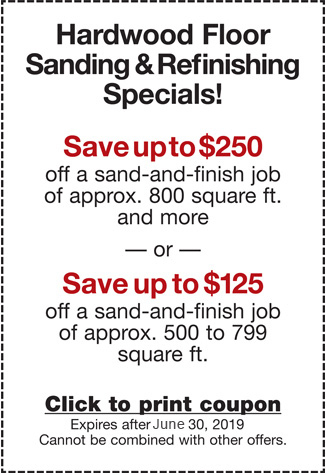 Save $125 when you sand and finish 500-800 sq ft. Save $250 when you sand and finish 800 sq ft or more. Offer ends 12/31. Call Now 650-961-1339 or 408-773-8624. Mention this ad when you call! We serve the the Bay Area communities of Palo Alto, Menlo Park, Mountain View, Sunnyvale, Los Altos, San Jose, and the San Francisco Peninsula.